Diabetes Action Canada has a new look! After months of hard work, stakeholder consultations and training, we are thrilled to announce the launch of our brand new bilingual website! The new site has the same URL as the previous site and can be found at https://diabetesaction.ca/. Our goal with this new interactive website is to provide our Researchers, Patient Partners, Stakeholders, and anyone interested in user-friendly navigation to learn about Diabetes Action Canada research programs, activities and initiatives. 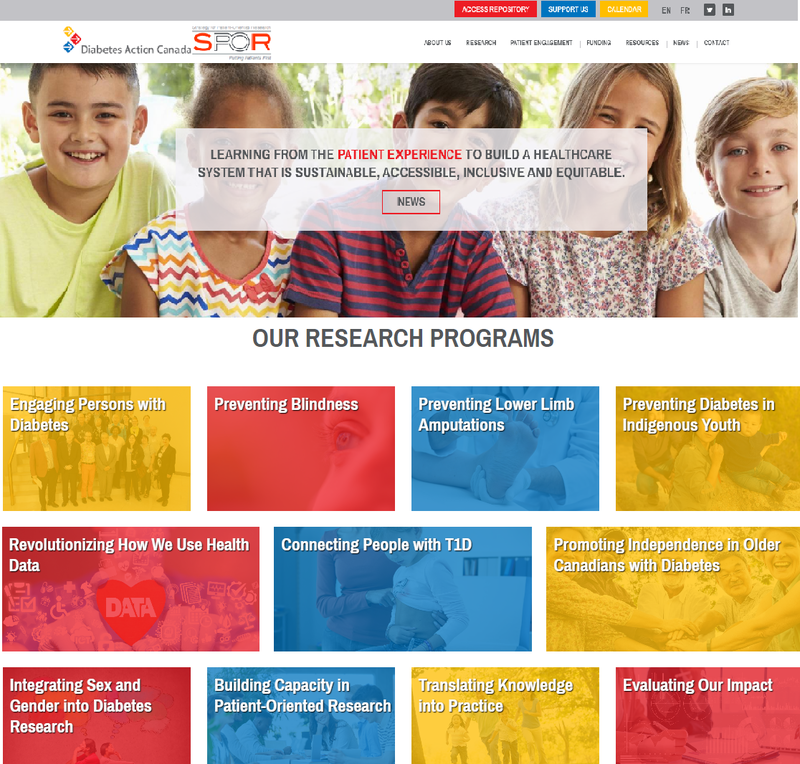 Information on each of our research programs is profiled directly on our homepage and detailed information is only one click away! Amongst the new features, the site contains direct access to the National Diabetes Repository site https://repository.diabetesaction.ca/, designed to enable a user-friendly platform to request access to our multi-province diabetes data for the purposes of secondary research. We will be constantly updating our content with helpful information, articles, news, newsletters, announcements and patient stories. We hope you that find the new website, with a fresh look, easy to access information and we welcome comments and feedback on the new design.